This has been a most desirable and wanted 63 + AC. parcel of land for years as the surrounding area has been developed, this parcel is the untouched jewel. Walk the property, choose your home site. 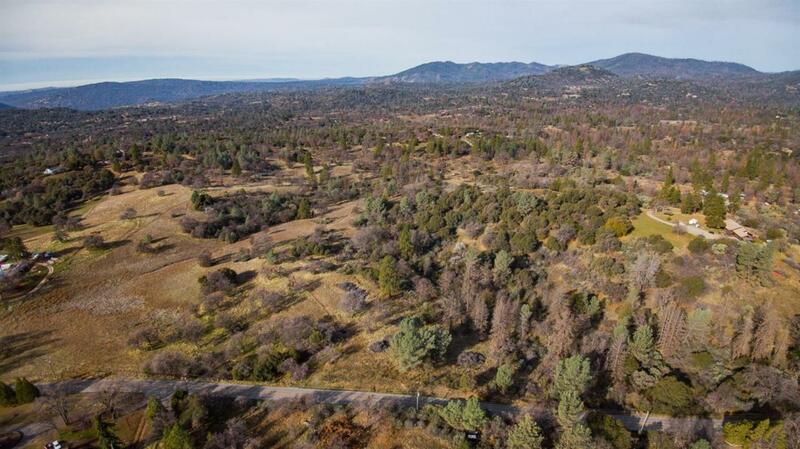 Should it be a knoll site that would afford a far off Sierra view or a more secluded spot in amongst the trees? What fun and it could all be yours! Read the remarks for additional descriptive ideas. LOOK AT VIRTUAL TOUR!!! DRONE PICTURES TAKEN. Listing provided courtesy of Marilyn Sikora of Coldwell Banker Premier R. E..